Our community of meat-eating consumers tell us that they want to feel good about the meat they eat this Thanksgiving and the producers who raise them. We know they are looking for animal welfare certified meats, like turkey, at the supermarket. Shoppers look to Global Animal Partnership for guidance on the brands that offer GAP certified products. In preparation for the Thanksgiving holiday in the USA, we’re happy to launch our first GAP Turkey Guide. Get the GAP Turkey Guide Today! We want to help consumers #MakeItGAP, whether they eat a lot of meat, or only eat it every once in a while. 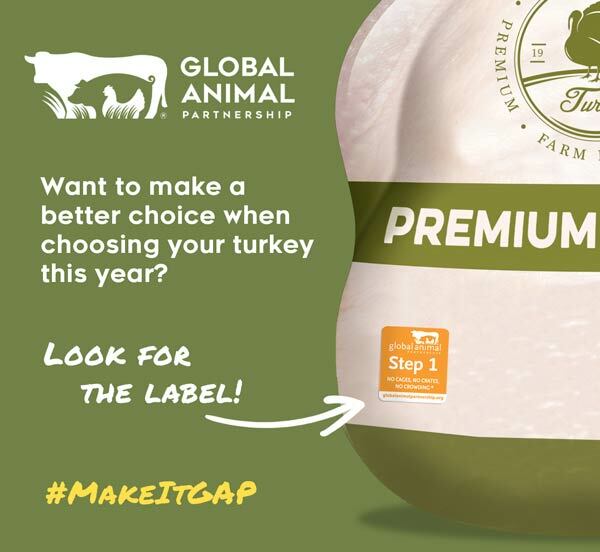 When consumers shop for turkey, we want them to look for the GAP label. When shoppers buy GAP certified meats, like turkey, they are voting for more humane farming practices, no antibiotics, no added hormones and no animal by-products for the entire life of the animal. Tips for planning, shopping, prepping, cooking, and presentation. Tips & trips for thawing, carving & dressing the bird. List of brands that offer GAP certified turkeys. 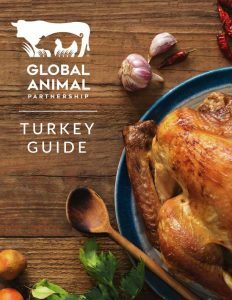 Our 16-page guide is available online at www.globalanimalpartnership.org/turkeyguide. Upon entering an email address, a link to view the turkey guide is made available to you immediately. 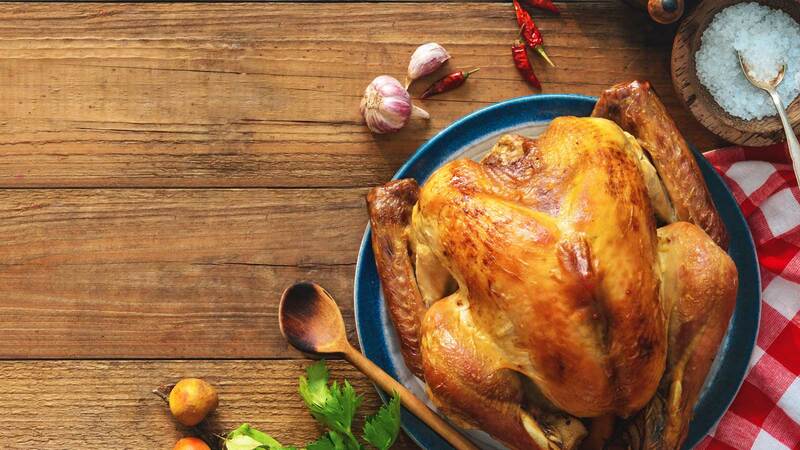 Use our guide to make an informed decision on turkey when shopping this Thanksgiving.